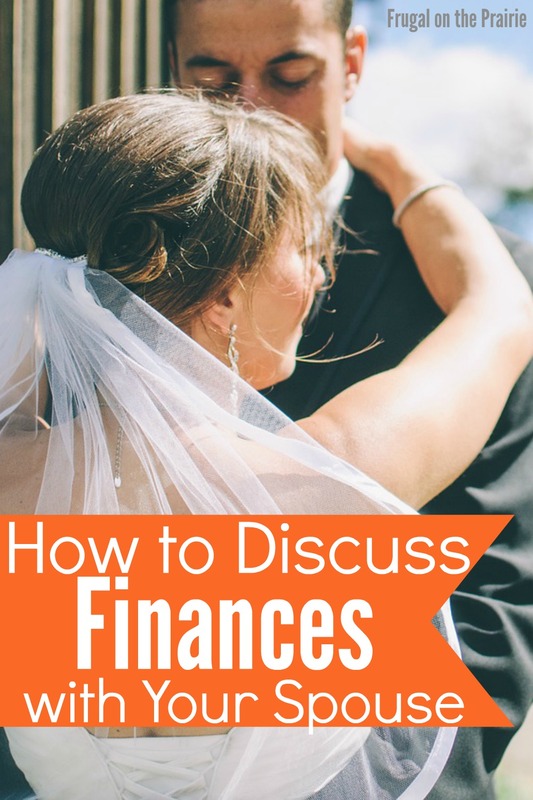 How do you discuss finances with your spouse? Does it resemble date night or a fighting match? Do you look forward to it or is it dreaded? Marriage is a beautiful, if not slightly complicated, union of two people who may or may not have the same spending habits. Are you a saver who married a spender? Vice versa? In either case, it can be hard to consistently find your goals and spending patterns on the same page. We all know that "money talk" is necessary in a marriage and I've got some great tips to help you keep your cool and open the lines of communication. If it isn't on the calendar, is it actually going to happen? Carve out the time on your schedules, turn your phones off, and look at your finances together. Remove all distractions! If you have children, arrange for a babysitter or keep them busy with an activity. Perhaps one of you feels like you're the only one who really looks at the finances while the other runs around spending money you don't really have. Routine meetings will encourage transparency and get the two of you on the same page. Money Meetings are also a great time to start any of these wonderful financial habits or work on that credit score so you can join the 800+ Credit Score Club. Pay close attention to what your spouse says about their financial goals in addition to taking note of their overall relationship with money. Do they obsessively watch every penny you spend? Or are they spending all of the money in your accounts like there's no tomorrow? Our spending habits are always formed by something, be it an experience or learning curve. Is your spouse overspending as a result of loneliness or worry? Are they an extreme tightwad because of a difficult financial experience in the past? Perhaps there are deeper issues that should be addressed. Whether you're the saver or the spender in your relationship, it's important to hear both sides. One exercise I recommend is to write down your financial goals or worries separately and then share them when you're ready to begin your money meeting. This encourages each spouse to be truly honest about what they're trying to accomplish. Change Your Mantra to "Yours, Mine, and Ours"
There is no One Size Fits All when it comes to the best way to combine debt in a marriage. Fights can certainly get sticky, especially if one partner feels as though the other indebted partner needs to be solely responsible for whatever they owe. "What's Yours is Mine" should be your mantra for the most united way to attack that debt. Perhaps your spouse came into the marriage with a $5,000 credit card balance and this frustrates you. But now that you're married, that debt is yours too. The sooner you embrace it and work together to pay it off, the faster it'll get done and the sooner you can move on from your debt guilt. Lying or hiding debt and spending habits can cause serious marital issues. If a spouse discovers their partner was hiding something, it not only exposes a financial problem but a trust problem as well. What is a marriage without trust? It may be painful and your partner could be angry for a while, but come clean with any debt you've been hiding. Also, joint bank accounts don't work for everyone but it's one of the fastest ways to create transparency and encourage trust in a financial relationship. Blame is a dangerous thing to play with when it comes to discussing finances with your spouse. It can be easy to say what your spouse did (or didn't do!) when something doesn't go according to your financial plan. But you're in this "for better or for worse" so create a united front and tackle any problems together. And don't be afraid to take a short break if the conversation during your money meeting becomes too heated. It's important that the two of you work things out but there's no shame in stepping away for 15 minutes so things can calm down. Having the money talk isn't always fun. But if you follow it up with something exciting, you'll be more willing to do it every week or month. For example, after every routine money meeting share a bottle of wine or go out for a date afterwards. You may not have accomplished all of your goals in that one conversation but you are communicating freely and that's something to celebrate! Dealing with debt or financial worries is never fun or easy. Having a spouse to help you carry those burdens can take some of the weight off. Nurture your financial communication the same way you would nurture all other aspects of your marriage. How do you communicate with your spouse?